Andre M. Poineau Woodworker, Inc. holds on to the traditional process of building a home. We staff our company with highly skilled craftsman, many who have been with the firm for 15 to 20 years. These employees are involved with the construction of a home from the foundation to the final clean up. The same carpenters do the framing as well as the finish work. This process of using highly skilled craftsman on the entire projects results in the highest level of quality available. The pride these craftsmen develop for a project is evident in the finished home. We also use the latest innovations in materials and techniques in all aspects of the project. 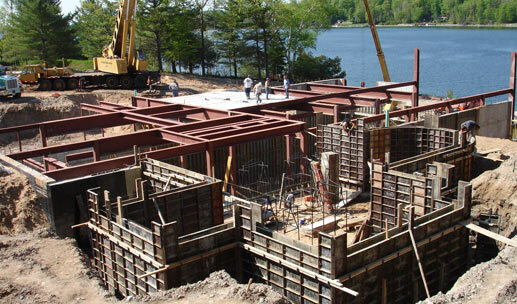 The subcontractors we use for the standard trades have a proven track record with us and in northern Michigan. Our construction division is managed by Guy Kenny, Jr. who has been with the firm since 1995. Guy is a graduate of the University of Denver with a degree in Real Estate and Construction management.